Our consumer culture still has an element of cluelessness to it. We don't even always know why we're buying what we're buying, let alone the large-scale effects of doing so. This is particularly true in the fast fashion market where items are created in mass quantities at breakneck speed, with the intention of catching a trend rather than creating a lasting item. With sustainability and conscious creation in mind, there's still a lot of education that needs to take place. The average customer has great intentions but there's always room to increase the awareness of how these industries work, as well as what we can all do to find a balance in our own shopping habits. One company that's going above and beyond to educate as they showcase curated fashion collections is Remake. On one platform, users can shop knowing that the clothes have been screened, read about brands doing good stuff, watch documentaries on the topic, and find event opportunities to connect with the cause. I had the opportunity to speak to Remake's founder and social entrepreneur Ayesha Barenblat about the company's hand in the movement. Tell me a bit about your own background in fashion and what started this interest in igniting a conscious consumer movement. Was it watching the industry at large, personal experience, a bit of both? I grew up in Karachi, Pakistan, around family that ran clothing factories. 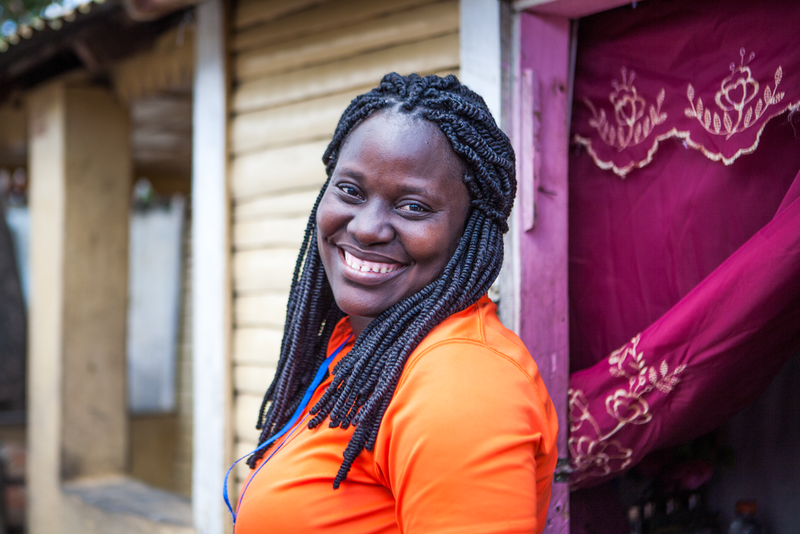 Early on, I understood the power of garment jobs to lift young women out of poverty. The fashion supply chain is one of the few industries in the world that mostly employs women, more than 75 million, most of whom are between the age of 18-34. Yet with the rise of fast fashion, I have also witnessed firsthand the damage cheap and disposable clothes do, particularly to women of color around the world. Professionally I have worked over the last decade across brands, manufacturers, and governments to improve sustainability and human rights within the fashion industry. Then on April 24th 2012 Rana Plaza fell down. I was working with the International Labor Organization at the time to improve garment factory conditions. As the death toll mounted, I watched the footage with growing horror and felt that I had to do more, sooner and faster. Working on the inside of the industry, I had always thought there was a missing piece of the puzzle - shoppers. So I took a risk and founded Remake, whose mission is to ignite a conscious consumer movement to make fashion a force for good. I believe in the power of hopeful storytelling because behavioral science shows that people are not moved by a pain centered narrative. We become numb to bad news - be it sweatshop workers or refugees far away. It’s hard for people to make a connection to these stories with their daily life. I have had the pleasure over the last decade to have meals, laugh, talk and be awestruck by the women who make our clothes. These were not victims as the media paints them. These are incredible, resilient women often supporting upward of 5+ family members, leaving the safety of their villages to enter the big bad world of factory city life. I believe these stories, of the millennial maker, could spark a more empathic connection with millennial shoppers. With the power of video, virtual reality and social media we can connect in ways that were never possible before. I hope that the story told differently, may finally seal her in our collective consciousness, so we can start to ask more about who makes our clothes and to buy better. In short, my background in fashion is both personal and professional. I have spent the last decade doing all I can to make the fashion industry more fair and just. 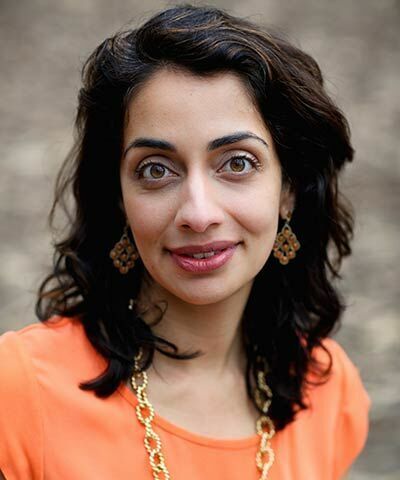 As a Pakistani-American woman of color, I feel deeply connected to the women who make our clothes. For me this is not just work, it is my life’s calling. So you're making films, doing panels, spreading the word on sustainability…tell me more about this multifaceted evolution. We started initially as a storytelling platform. I wanted everyday people to remeet the women who make our clothes. To get to know her the way I do. I thought, if you meet her in this fundamentally different way, see your life and hers to not be so different, will you finally care? To make the invisible women who make our clothes visible we embarked on journeys into manufacturing hubs - from Haiti to Cambodia to Pakistan to pass the mic back to the makers of our clothes. On our immersive journeys we started to take millennial fashion designers, the same age as garment makers, to witness the impact of fast fashion first hand. Think of us as the peace corp for fashion. Our journeys were a way to seed the next generation of designers to create with intention. This is our long-term bet to slow down fashion. As we started to run social media campaigns and live events with our stories and films, customer after customer started to tell us how much they care. But that once they cared it was hard to know how to make a difference? They didn’t trust brands and wanted to discover brands that were truly good for people and the planet. This helped us launch our seal of approval and become a discovery platform for better brands and sustainable edits. Our users told us that finding sustainable x stylish clothes is hard. So we do all the hard work for you, making the discovery of beautiful, everlasting statement pieces easy. On the backend, we look hard for supply chains that are transparent, brands that are not simply greenwashing and running clever marketing campaigns. Our screening criteria is not just based on the law and doing less harm to people and the planet. Instead, we showcase brands that are doing more good. Leaving her the end maker and our planet better off. Is there anything challenging about this process? What have you learned along the way? Getting authentic worker voices is hard. Often we film in countries where it is really hard to get into factories. Brands and manufacturers are not interested in helping us document her voice. Yet time after time we always find that once we get to the women on the factory floor, she is poised, fierce and eager to share her story despite no one ever asking her what her life is like before. Fundraising is always an ongoing challenge. We are tackling a wicked and complex problem but find that some foundations believe that shoppers simply do not care and others are more distracted domestically in the US. Finally, we are razor focused on how to convert people that attend our packed seminars, sold out slow fashion and swap parties, or engage with us online. We want to move our community from learning about these issues to buying less and better. Do you think there's still a lack of awareness of what fast fashion is? Why? Did you know that in the U.S. only 10% of donated clothes get resold? The rest flood landfills where they can sit for up to 200 years leaving toxic chemicals and dyes to contaminate local soil and groundwater. The problem is we tend to ship our discarded clothes to places in North Africa and Haiti. So we do not see the staggering waste and its impact. Fast fashion also traps a generation of young women into poverty. It takes a garment worker 18 months to earn what a fashion brand CEO makes on their lunch break. A majority of them earn less than $3 per day. The biggest corners fast fashion cuts are human. 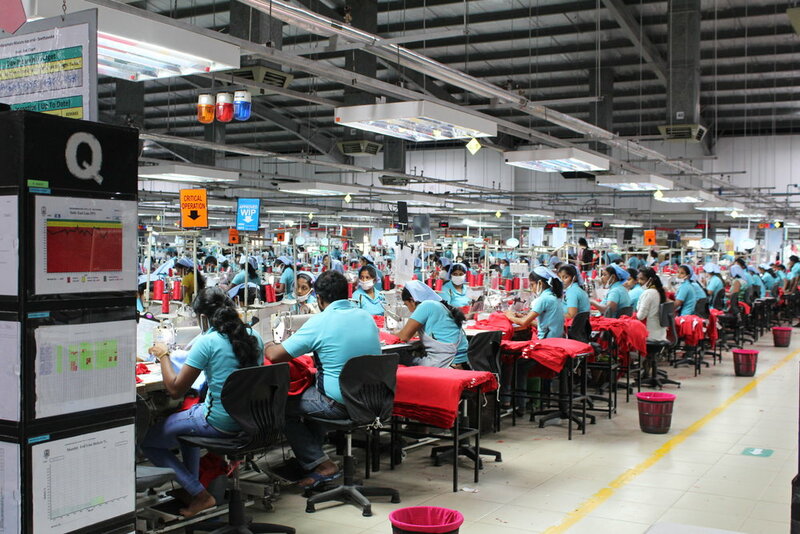 Cheap clothes are often made in low wage and exploitative conditions. Yet the women who power our industry are invisible. Media does not cover this core part of the industry and so most people simply do not fully understand the human sacrifice behind our clothes. The fashion supply chain is also really fragmented. With many tiers and middlemen that make accountability diffuse and transparency more complicated. In short, there remains a lot of misunderstanding and a lack of awareness around the staggering impact fashion has on people and the planet. What would you suggest to the average person who wants to start being more conscious about their fashion choices but doesn't know where to start? Marie Kondo your closet: take stock of what you own. Are piles of clothes sitting there and making you unhappy? Only keep what you think you will wear at least 30 times and host a swap party for the rest. 30 wear rule: the next time you want to buy something consider this: will you wear it at least 30 times? if not, best to walk away. Oh and if it costs less than your favorite cup of coffee? know that women were exploiting it the making and also walk away. Budget-friendly ideas: check out vintage, rental or consignment options. Consider shopping in a good friend or siblings closet. Loved clothes last: care for your clothes like the good friends that they are. Wash on cold, line dry, skip the dry cleaner and mend. Invest in quality not quantity: check out our platform for inspiration on fewer better fashion pieces that are good for women and our planet. Any favorite brands who are doing things right? There are wonderful sustainable brands that are popping up every day! I love PACT’s organic soft intimates, Patagonia for everlasting outdoor pieces, Nudie Jeans for denim that’s pro-makers and fits great and Mara Hoffman for my favorite going out dress. What's next, what are your long-term goals with the organization? We want to convert millions of millennial women to #wearyourvalues. If you are a feminist, environmentalist, care about equity or your own health, then sustainable fashion is for you. We want you to join our movement and share how you are remaking your closet. We want to continually strive with press partnerships, social media, VR, film, and stories to make the invisible women who power our fashion to be visible. We want garment workers to be on the cover of Vogue. We essentially want to influence our culture to move away from cheap disposable fashion to buying less and better.